Scarlett is a naturebear design in the typical Miraberen style. 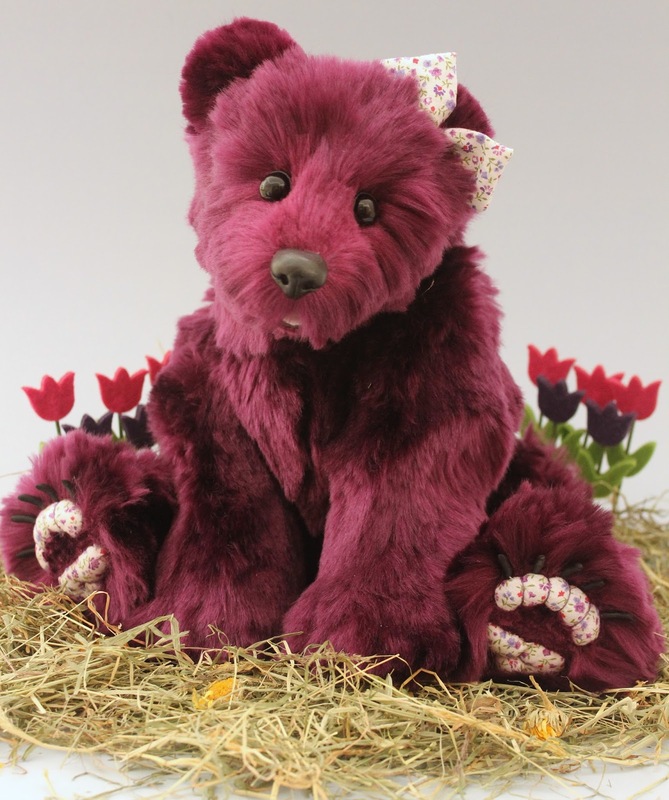 She is 32 centimeter tall in sitting position and made from a deep purple plush. 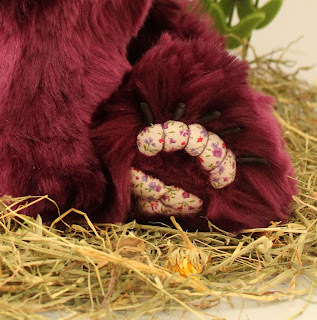 Her paw pads are made from a quilt fabric with flower design in the colours red, dark and light purple, the paws are needle sculpted for a realistic look. The nails are made from black apoxy clay. Scarlet has a open mouth with a little tongue and two little teeth. Her nose is made from black apoxy clay and she has big german glass eyes with leather eyelids above the eyes. 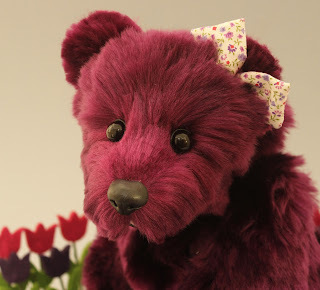 In her hair she has a little bow made from the same fabric as her paws. She is four way jointed and and has a flexibele spine from her head till her tail and in here legs. This makes it possible to put her in all sort of sitting and standing positions.